From all the financial instruments traded, forex is believed for a number of reasons by many professional traders and analysts to be one of the best-suited markets to trade using technical analysis methods. First, it is well-suited because of its sheer size in trading volume; according to the Bank for International Settlements, average daily turnover in traditional Foreign Exchange markets amounted to $1.9 trillion in the cash exchange market and another $1.2 trillion per day in the over-the-counter (OTC) Foreign Exchange and interest-rate derivatives market as of April 2005. Second, the rate of growth and market participants in forex trading has increased some 2000 percent over the past three decades, rising from barely $1 billion per day in 1974 to an estimated $2 trillion per day by 2005. Third, since the market does not have an official closing time, there is never a backlog or "pool" of client orders parked overnight that may cause a severe reaction to news stories hitting the market at the U.S. bank opening. This generally reduces the chance for price gaps. Currencies tend to experience longer-lasting, trending market conditions than do other markets. These trends can last for months, or even years, as most central banks do not switch interest rate policies every other day. This makes them ideal markets for trend trading and even breakout systems traders. This might explain why chart pattern analysis works so well in forex trading. With such widespread groups playing the game around the world, crowd behavior plays a large part in currency moves; and it is this crowd behavior that is the foundation for the myriad of technical analysis tools and techniques. Due in part to its size, forex is less volatile than other markets. Lower volatility equals lower risk. For example, the Standard & Poor's (S&P) 500 Index trading range is between 4 percent and 5 percent daily, whereas the daily volatility range in the euro is around 1 percent. Trading veterans know that markets are interdependent, with some markets more heavily influenced by certain markets than others. We covered some of these relationships looking at futures and certain stocks and how interest rates move equity markets and currencies. We will learn in coming sections how to detect hidden yet repeating patterns that occur between these related mar kets. 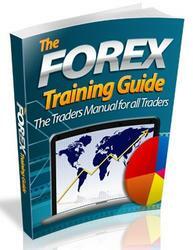 Forex is the ideal market for the experienced trader who has paid his or her "trading tuition" in other markets. Forex is by far the largest market in dollar volume. At times it can be less volatile; experiences longer, more accentuated price trends; and does not have trading commissions as we discussed. However, there are no free lunches. Traders must use all the trading tools at their disposal; the better these fundamental and technical tools, the greater their chance for trading success. While intermarket and other relationships are often complex and difficult to apply effectively, with a little high-tech help, traders and investors can enjoy the benefits of using them without having to scrap their existing trading methods.